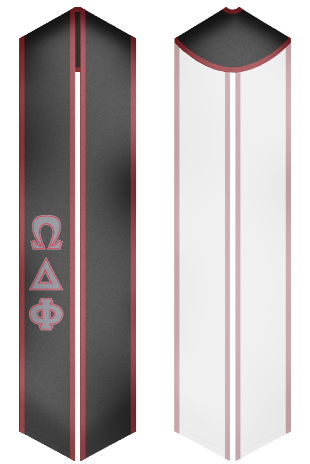 The Omega Delta Phi fraternity was established in 1987. This multicultural service/social fraternity was founded by the students, who studied at Texas Tech University in Lubbock, Texas. The objective of the fraternity was to help students with graduation. The Omega Delta Phi fraternity actively developed and gained its popularity within the last 10 years. Today, it had more than 50 campuses in Texas and the Southwest. The main part of fraternity is Latinos, whose ideas are based on "One culture, any race" philosophy. The Omega Delta Phi fraternity has chapters in Mexico and the United States. 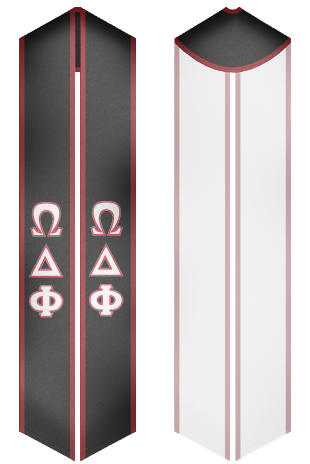 Would you like to buy sashes for members of the Omega Delta Phi fraternity? You are always welcome to Custom Sash!